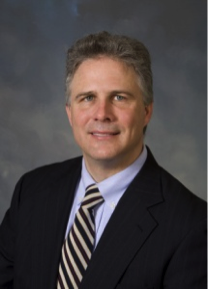 James B. Griffin is a Birmingham native who attended the Mountain Brook public schools, graduated from Gordon College in Massachusetts, completed his Masters Degree at the University of Alabama, and then earned his Juris Doctor at the Vanderbilt University Law School. James started practicing law in a large Atlanta firm’s real estate group, then represented the county sheriff, county commission, and development authorities of his wife’s hometown of Covington, Georgia. His first jury trial resulted in victory for his client challenging the transfer of her father’s properties to someone else while he was on his deathbed. When James moved his family to Alabama, he represented cities, boards of education, and state agencies. Today, his firm is based in his hometown of Birmingham, Alabama. He has litigated in courts and has appeared before governing boards over a wide range of issues, including zonings, employment, restrictive covenants, variances, Section 1983, eminent domain, and local and state taxes. He has advised clients on civil rights, ethics laws, labor and employment, contracts, real property, law enforcement, nuisances, government immunities, environmental law, and public health. James has also drafted state legislation and has revised city and county codes in areas such as annexations, nuisances, sign regulation, historic preservation, and the delivery of public services. 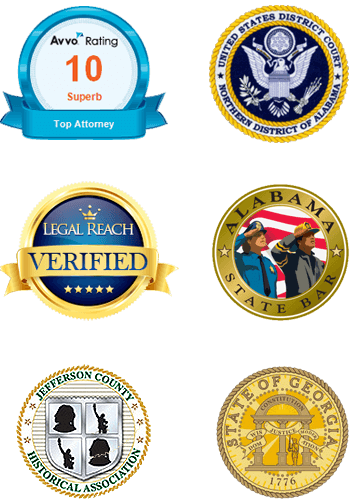 Today, after more than thirteen years in the field of law, he has garnered a “Superb” 10/10 Rating on the Independent Attorney Review Site Avvo.com. He is licensed to practice law in all state courts of Alabama and Georgia as well as the U.S. District Courts for Northern Alabama, Northern Georgia, and Middle Georgia and the U.S. Circuit Court of Appeals for the Eleventh Circuit (GA, AL, and FL). As they say, “If you want something done, ask a busy person.” James is a husband, father, administrator of his late mother’s affairs, legal guardian of his disabled brother, and a former history and literature teacher. He is also a speaker and teacher on law and ethics, a former Chairman of the Environmental Law Section of the State Bar of Georgia, and a proud member of the Birmingham Bar Association, Society of American Foresters, Jefferson County Historical Association, and St. Francis Xavier Church, where he teaches Sunday school.